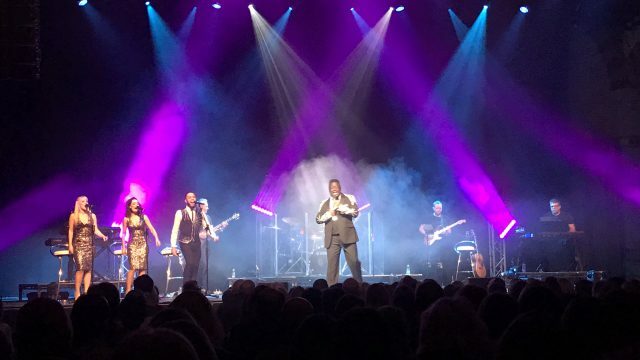 FAIRBANKS, AK – Jonathan Huff is accustomed to dealing with harsh winter weather. 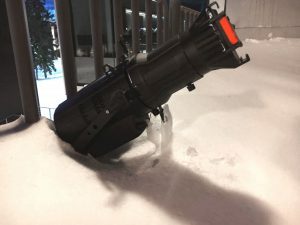 As CEO of Alaska Universal Productions in Fairbanks, which was ranked by USA Today as “the coldest city in America,” he has had to contend with more than his share of frigid temperatures and blinding snowstorms. 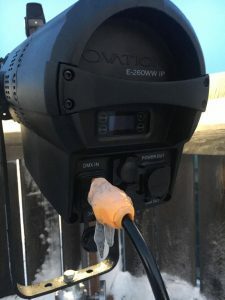 However, even by Fairbanks standards, conditions were extreme when he installed three Ovation E-260WW IP fixtures from CHAUVET Professional outdoors for the University of Alaska Fairbanks Centennial Celebration. 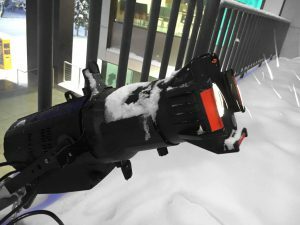 Huff and his team had to contend with gusty winds, temperatures that fell to more than 10 degrees below zero, and swirling snow when they positioned the outdoor LED fixtures at sites around campus, including the roof of the gleaming new 6-story engineering school building. Soon after they completed the installation, a second more severe storm hit, dumping 16 inches of snow on Fairbanks. 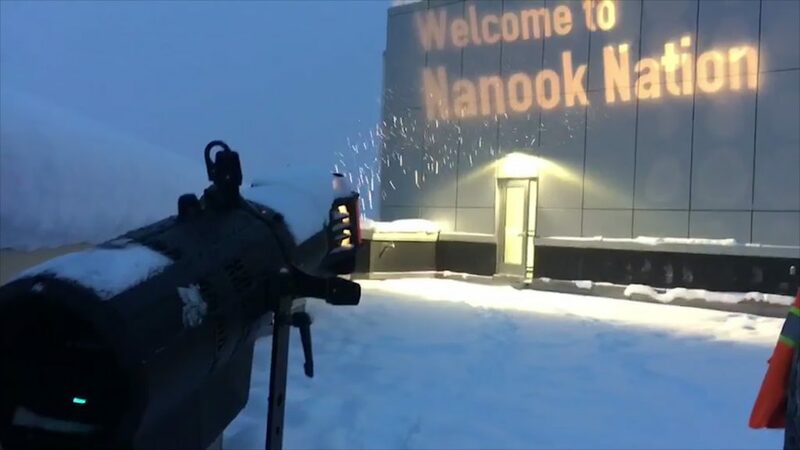 Returning to the rooftop of the engineering building, Huff discovered that the Ovation E-260WW IP was unperturbed by the storm, happily projecting the message “Welcome to Nanook Nation,” Nanook being the school’s polar bear mascot. 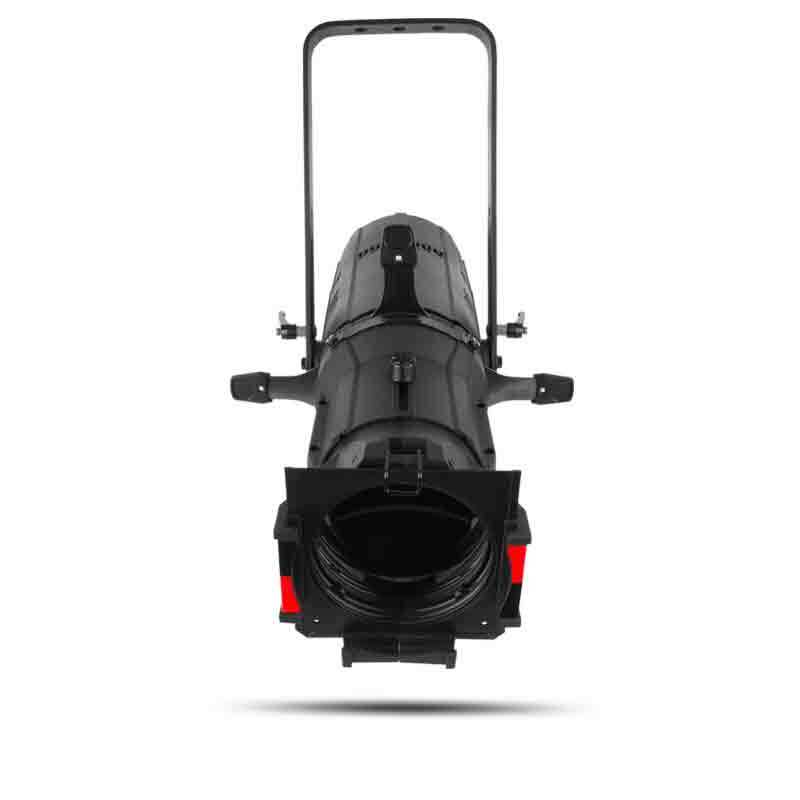 A couple of weeks later, when temperatures outside fell to -19⁰F, he checked on the ellipsoidal again. It was still running smoothly. 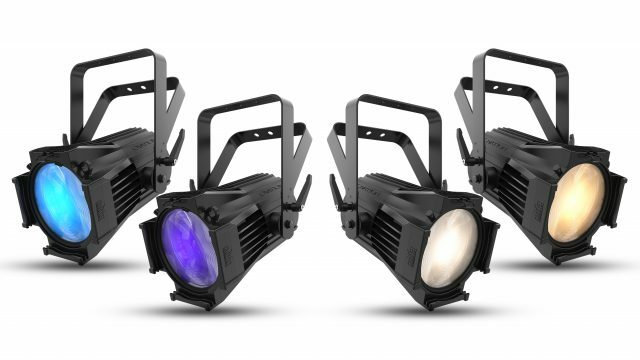 Weather-resistant ruggedness is only one of the reasons Huff added the Ovation E-260WW IP to his inventory at Alaska Universal Productions. 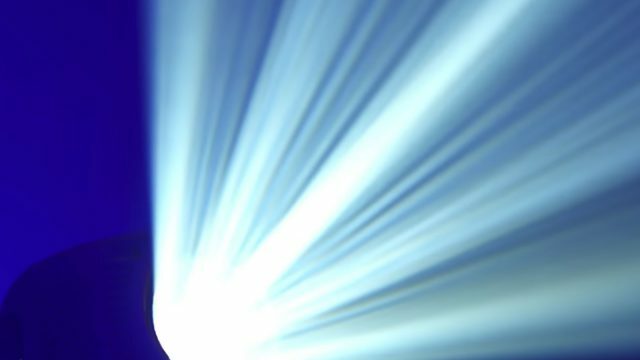 “The IP rating was obviously very important to us, but that was just the beginning,” he said. 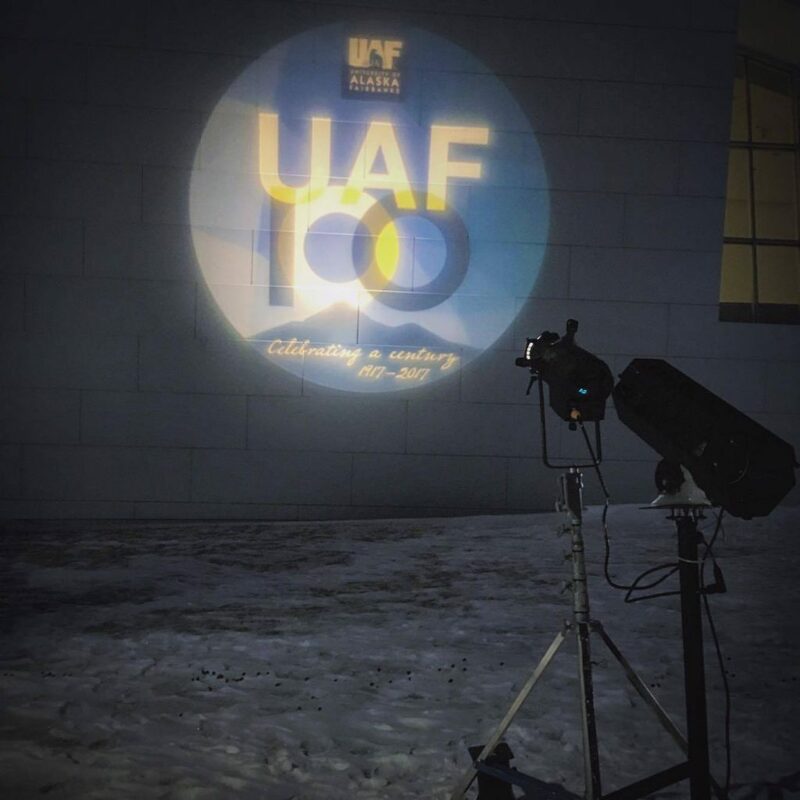 By drawing on his experience and reliable fixtures, Huff has been able to deliver consistently high quality lighting to the University of Alaska Fairbanks for its centennial celebration. The fixtures help remind students at this research and engineering-driven school, and the community of a proud 100 year tradition, while underscoring the potential of new technologies.